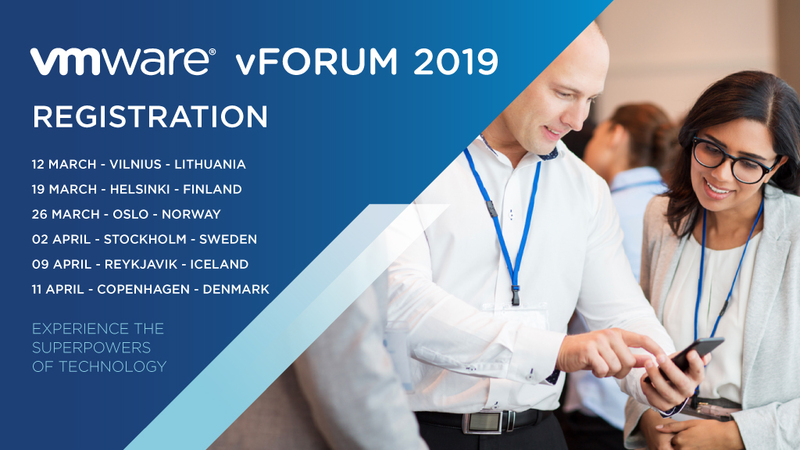 If you are an IT Professional looking to set your company's digital transformation in motion with a unique, integrated architecture that will give you the freedom and control your need now and in the future, VMware vFORUM 2019 is the event you must attend. Select your choice of venue in the registration form and fill out all required details to register. Already registered? – click here to find details about your choice of venue, agenda, keynote overview and much more! Note: This event is free to attend and participants will not be charged with no-show fees or fees of any other nature. Please note that when you are registering to this event you accept that your data might be shared. In case your badge is scanned on site you accept that the sponsor can contact you after the event.